While OTT and Sin On Saturday had little in common, there were some similarities between the two programmes beyond sharing the same day of the week. Not only were they scheduled at the end of the night, they were both broadcast live and represented attempts at new programming formats. Most significantly though, both used upcoming comedians from the alternative scene in minor roles to detrimental effect. The appropriation of alternative comedy by mainstream television in the early 1980s felt similar to the absorption of northern comedians that had taken place just a few years earlier. However, while Cannon and Ball and Little and Large translated well into the heartlands of Saturday nights, the iconoclastic nature of comedians such as Sayle and Coltrane required more than just the removal of expletives. 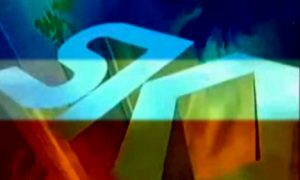 On 11 April 1981, BBC1 had already made a tentative attempt to introduce alternative comedy to Saturday nights, via a special repeat screening of an episode of Not The Nine O’Clock News (in honour of the series winning a BAFTA). The arrival of Jasper Carrott at the BBC proved a happy evolution for both parties. Carrott had come out of the 1970s’ wave of folk comedians, which included Billy Connolly and Mike Harding. Loved by students, Carrott’s material had consisted mainly of “shaggy dog stories” and the occasional song. 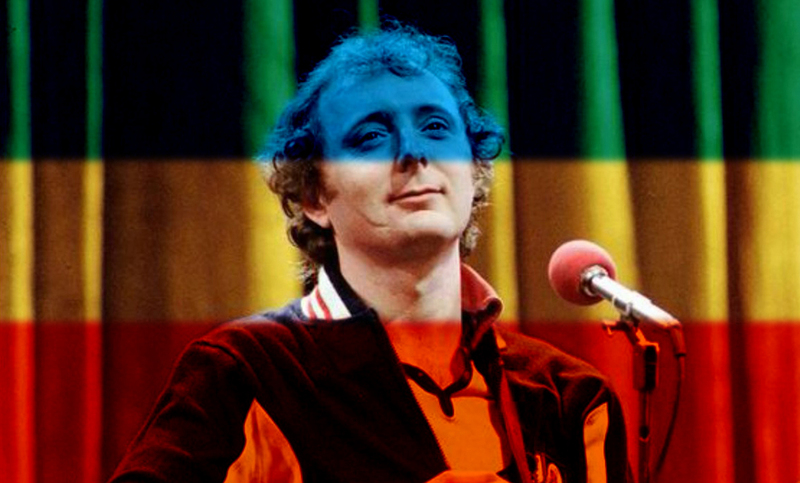 Recognising the popularity of comedy with a sharper, more politicised edge, Carrott used his arrival at the BBC in 1982 as an opportunity to partially re-invent himself as an affiliate of this new wave. He enlisted topical comedy writers Ian Hislop and Duncan Campbell and their work resulted in Labour politician Michael Meacher suing the BBC for slander. This new, edgier material was complimented by the inclusion of performers such as Chris Barrie (later to find success on Spitting Image and Saturday Live and fame with the sci-fi sitcom Red Dwarf) and Emma Thompson (who would, one year later, appear on Granada Television’s Alfresco, alongside many of alternative comedy’s most significant players). Carrott’s Lib was first broadcast on 9 October 1982, satiating BBC1’s desire to introduce progressive comedy into Saturday nights, albeit via a much-loved and popular comedian. 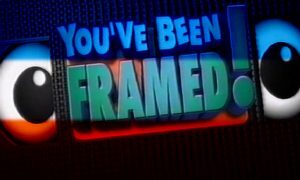 “In seven hours of television, only two minutes have been cut out,” commented Carrott of his previous work. “After all, if a part of the audience is offended, they will no longer be on your side. And a comedian needs all the support he can get”. The BBC referred to its latest acquisition as “unique and challenging” – words designed to mark Carrott out from the rest of the corporation’s Saturday night fare. Audience reaction was predictably mixed, but in the main, positive. “All carrots should be scraped, sliced and cooked, and when this is not being done they should be kept buried in the soil,” remarked Radio Times reader J Keay. “Why must a talented comedian sink to such obscenity in his perversion of Blankety Blank?” asked SW Sackett in reference to a skit broadcast on 30 October. However, Diana Harvey-Williams’ assertion that “Jasper Carrott was absolutely hilarious … My husband and I haven’t laughed so hard for so long for ages,” was more representative of the reaction the programme received. The biggest indicator of the show’s success was perhaps Carrott’s ability to attract the ire of The Sun newspaper. A protracted spat between the two parties served only to bolster the credibility of both Carrott and the BBC. Coupled with the less contentious, but similarly progressive (in that it openly encouraged new writers) Three Of A Kind, the BBC was coming to terms with the fact that if alternative comedy was ever to have a significant impact upon Saturday night entertainment it could not be shoehorned into mainstream formats or included as an extra element to otherwise traditional entertainment programmes. It had to be considered in its own right. If the corporation could get this right, then a whole new seam of talent would open up. Given the failures in late-night programming on both the BBC and ITV in 1982, this was a tantalising opportunity. This might not have been the BBC’s most golden era, as ratings were falling and ITV was at its most bullish, but fair play to the BBC for noticing that not everyone wanted comedians like Little and Large and Cannon and Ball on Saturday nights. Carrott was the right man for the time, mildly alternative and risque, but not as alienating to a mainstream audience as someone like Ben Elton, and his career at the BBC proved to be very successful, lasting well into the nineties and spawning two successful spin off shows. Also in 1985 Kenny Everett was moved to Saturdays with considerable success, and proved a contrast to ITV’s stale comedy acts like Kate and Ted Robbins and Cannon and Ball( well past their best then).